Russian and American experts have begun the first round of consultations on a new nuclear arms reduction treaty. Russia's Anatoly Antonov, the director of the Foreign Ministry's Department for Security and Disarmament, who led the negotiations in Rome, together with U.S. Assistant Secretary of State Rose Gottemoeller, said that the meeting had a preliminary nature and that “the main talks” will be held in Washington in May. Still, the Rome meeting is viewed as the first step to replacing the Strategic Arms Reduction Treaty, or S.T.A.R.T, which expires on December 5. 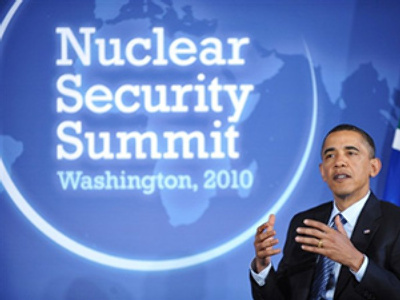 The two states pledged to halve their nuclear warheads when they signed the treaty in 1991. Russia insists the new agreement should include provisions on decreasing ballistic missiles, as well as submarine and bomber missiles. A new agreement is seen as crucial to reviving relations between the US and Russia. Prior to Thursday's talks in Rome, Moscow said the US had not informed the Russian delegation of their negotiating position. Still, the mood remains optimistic. "We are looking forward to hearing more specific details about the position the United States is bringing to the negotiating table," said Sergey Kislyak, Russian Ambassador to the U.S. "So far, what we have heard is encouraging."